Nothing lasts forever and this is more prominent with the ‘throw away mentality’ of today’s culture. Back in the day things were made to last and when they did happen to break they were repaired, not just discarded and replaced with a new shiny one. There are just as many reasons why someone should reupholster their furniture as there is to throw it away. The main difference however is knowing if it is worth it! The originality and functionality of your furniture is important. It needs to suit your needs and your style otherwise you will never truly love it. Reupholster: Reupholstering gives you the chance to bring an old worn out piece back to life. Perhaps you have an item of furniture that has been passed down through the generations and has sentimental meaning that you cannot part with or perhaps you just love the vintage legs on your mid-century French style chair, circa 1950. While the frame and structure may be in need of some tightening or work, with professional help this is achievable. Restoring older pieces secures the originality while improving the functionality for everyday use. New: Vintage isn’t for everyone but what goes around comes around and in 10 years you could be purchasing the same item for more money as it has become popular again. Or perhaps you just prefer a simpler style, a less is more way of life. There is nothing wrong with that however you may want to keep in mind that as your furniture is mass produced, it is far from original. When you make a purchase you expect that your money will get you quality made products. Unfortunately this isn’t always the case. Reupholster: Things were once made to last; electrical items, clothing and of course furniture. People were experts in their craft and wanted everyone to know. Over the years the quality of furniture has been on a continuous decline due to mass production; which only highlights the importance of taking good care of top shelf and original pieces. By restoring and reupholstering these quality items, you are not only showing appreciation for generations of skills and dedication, you are potentially adding another 20 years of life to that furniture. New: With warehouses smashing out thousands of items weekly, they have their focus on quantity over quality, which means that lesser quality parts are used to create and design new furniture. While they will come with warranty and are guaranteed to last at least 12 to 24 months, after that you are on your own. You work hard for your money and the last thing you want is for it to be wasted on inferior products or constant outlays for repairs. Reupholster: The age, style and condition of your furniture will impact the cost that reupholstering will incur. However as you have already got the piece, whether it was inherited or purchased for peanuts at a garage sale, you already own it. So your only ongoing costs will be the restoration fees once every 20+ years. This is one of the big benefits to furniture reupholstery! New: Even though everyone seems to be doing it tough financially these days, furniture and home items have never been more affordable. This opens up the door for recent home leavers to enjoy ‘nicer’ furniture without the need to take mum and dads old worn out sofa that you will never have the money to repair. 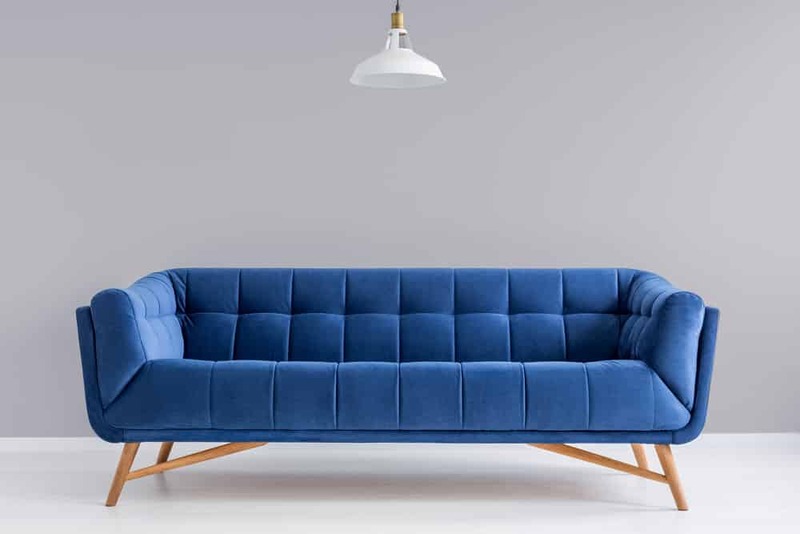 However it is important to remember that new items are typically only cheaper in the short run and will require replacement far more often than restoring an original piece of furniture. Trends come and go – choose wisely! Reupholster: Everyone is different and has a preferred style of home interior, old furniture can either be an eyesore or a standout feature piece. This is entirely up to you! By restoring your furniture to its original look you are not only preserving a piece of history, you are also maintaining its value. Interior design fads are constantly changing and popular colours and patterns are always alternating. If sticking with the original fabric style is not an option, it is best to choose just one colour or pattern that can be dressed up or down with the use of cushions or throw rugs. New: Furniture is designed to replicate the current trends so while your burnt orange leather chaise lounge may be popular today, in six months’ time it will be outdated and you’ll be wishing you just bought a black one. The environment doesn’t often get a look in when people are buying their furniture, however it is time that changed! Reupholster: By reupholstering your furniture you are saving the environment by reusing, upcycling and making something old new again! Restoring and reupholstering your furniture is an eco-friendly option that will effectively do your bit today in saving the environment. New: As a result of throwing away your furniture when you purchase new ones, you are contributing to excessive landfill and wastage. This has adverse effects on the environment! Furniture reupholstery offers owners the possibility to keep a treasured item not only functional but a feature piece for decades to come. It gives opportunity to modernise or simply preserve the original style. The benefits of reupholstering furniture far outweigh buying new! Contact the professional team at Lounge Repair Guys a call today on 1300 10 15 10 to discuss your furniture reupholstery needs!